read. watch. listen. : Volunteer as a Homework Coach at FCPL! 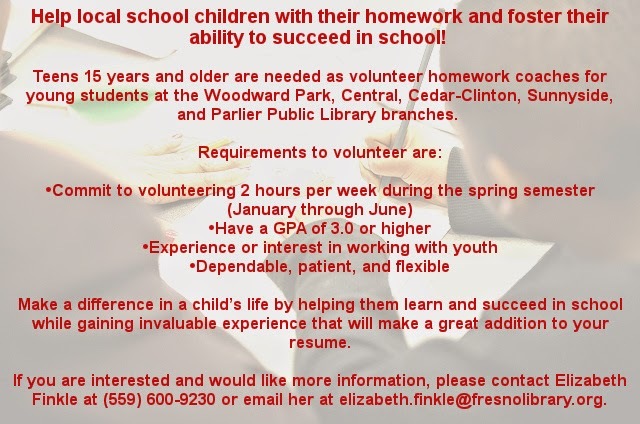 Volunteer as a Homework Coach at FCPL! If you're 15 years or older with a strength in one or multiple subject areas and are interested in gaining valuable work experience that will look great on your resume, volunteer as a homework coach at the library! Several branches are looking for volunteers for the spring semester.